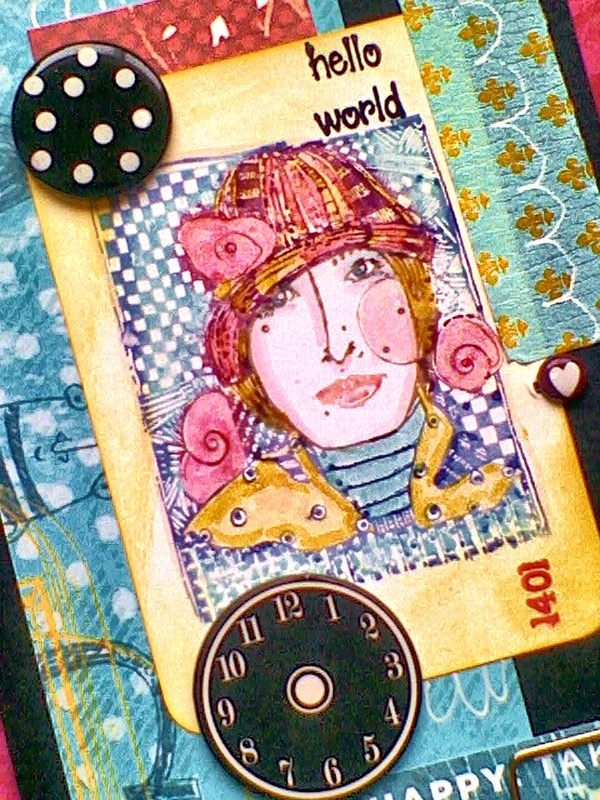 This is my last blog post for this term for the Viva Las Vegastamps! design team.Thank you DeeDee, Jeff, and Wayne for giving me this opportunity for being part of this awesome team and an awesome stamp company! I took some pink tissue paper and tore it into pieces and glued it down with matte medium. I then took a number stencil put it over the coaster and sponged some magenta acrylic paint on it. I took some punchinella and sponged some white craft paint on it. On White cardstock I stamped the Angel baby with black Menento ink pad. The Angel baby is probational a boy, but I made the angle into a girl. LOL I colored the wings and diaper pink. I cut out a crown from a My Minds Eye paper that I was given a scrap of. 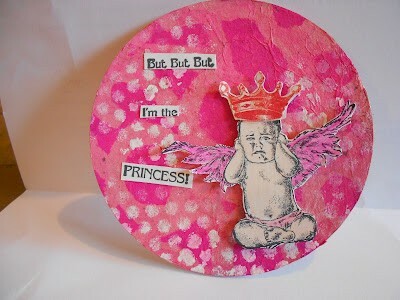 I mounted the baby on the coaster with foam tape.I stamped the But, but, but, I'm the PRINCESS! on white card stock with the same ink pad. I cut the sentiment out and used glossy accents to it. Here is today's hop, the last day, the best day! And for a chance at the last prize... go back to day 2 and leave a comment VOTING for your favorite entry into the link up contest! The winner gets a prize all their own, and a random voter will get a prize! I'm going to be a softie and leave most of the prize prompts OPEN until Monday morning when I get to work... then I'll sit down and get the prize recipients selected and notified! 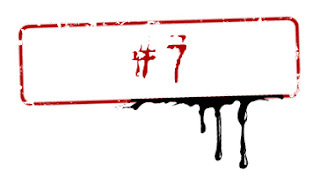 Thank you everyone for joining us each day and sticking it out to the end! Another applause is in order! Our 2nd post from Guest Designer Purnima! Here is our "last" post from Guest Designer Purnima. I say "last" in quotations because today she's sharing THREE more projects. 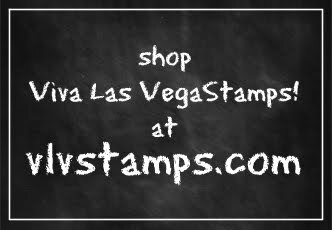 I have a few samples for you in my second entry as Guest Designer for Viva Las Vegas Stamps… I was having too much fun to quit at one! 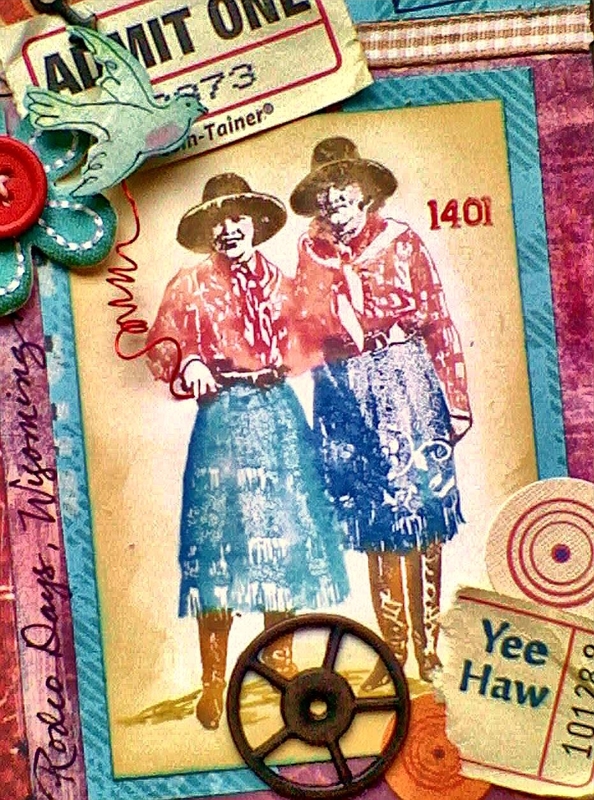 There are some amazing ranch women here in Gillette, Wyoming, so I was happy to find some great Western stamps in the VLVS catalog! 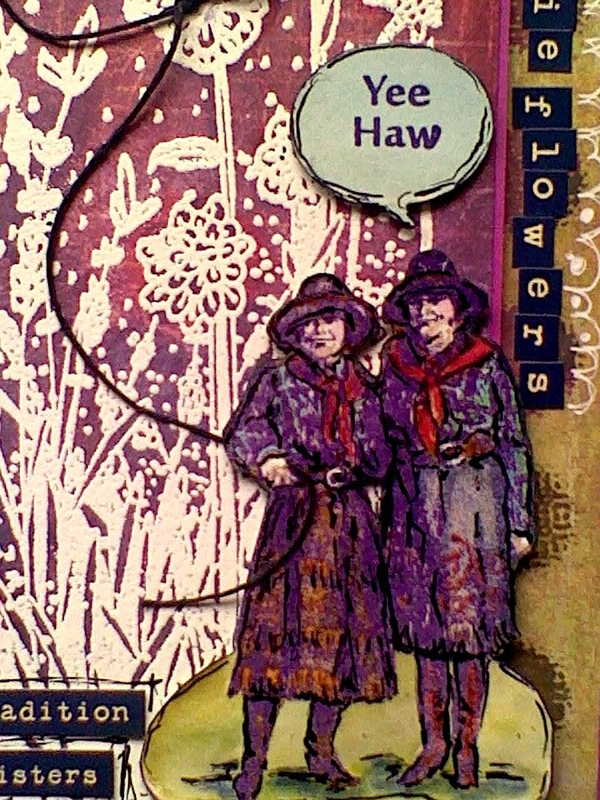 Using the Two Cowgirls (Item 18784 from Plate 1395) and the Wildflower background from Plate1401, I was able to play on the idea of “Prairie Flowers” for my card. I white embossed the flowers on paper from the Fleuriste collection by Cosmo Cricket, and then enhanced the color contrast with Distress Stains before mounting. To make the card more interesting, I folded the purple cardstock so that the front was narrower than the back. I added a strip of coordinating paper to the overlap. 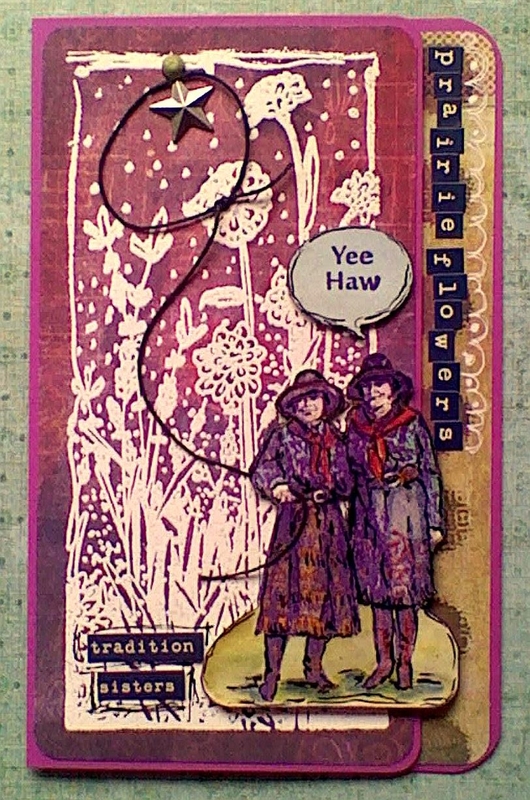 The Two Cowgirls and “YEE HAW!” are stamped in purple on white cardstock and clear embossed, then colored with Distress Markers and cut out as shown. I used a permanent marker to add black lines to create a hand-drawn effect before mounting the images to the picture panel with foam tape for dimension. I defined the theme of the card with words and letters from Cosmo Cricket’s Tiny Type. 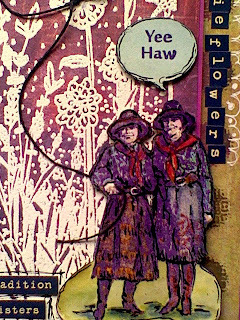 My final embellishments were a “tin star” and a lariat made of hemp cord, and a bit of doodling in white gel pen. Ready for some rodeo fun? For the picture panel on this card, I colored the Two Cowgirls stamp with Distress Markers and impressed on Ranger’s Specialty Paper in the ATC size. The card also features words and numbers from artist Mary Vogel Lozinak’s Plate 1401. 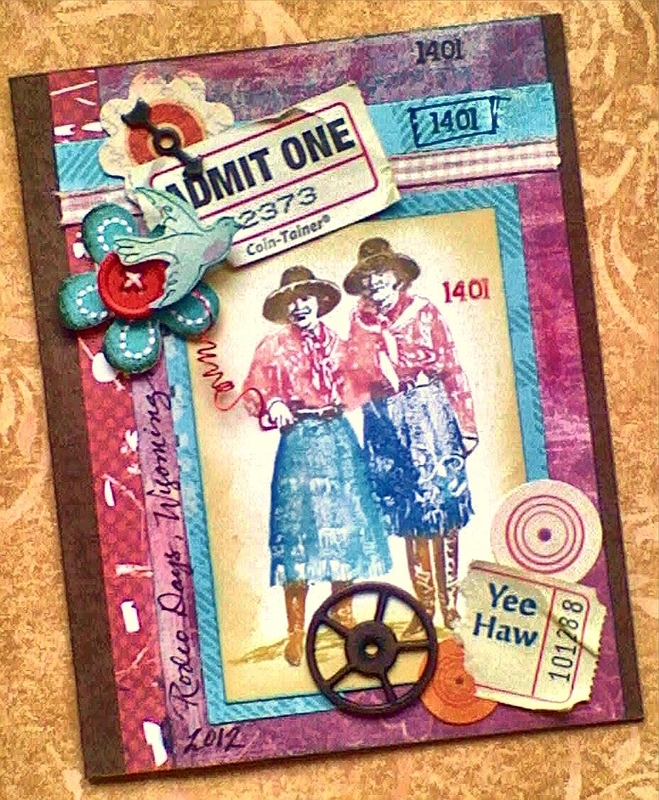 Scrapbook-styled handwriting, doodling and various bits that reminded me of the fun of a rodeo fair complete the card. Both of these cards’ picture panels were stamped in the same way as the Two Cowgirls on the last card. 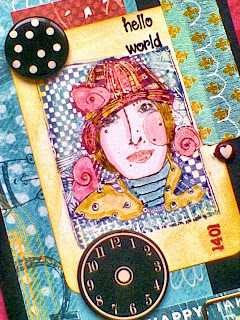 I colored the stamp of this darling woman in a cloche hat using Distress Markers and impressed the panel for the card on the right. Then I lightly misted the stamp with water and impressed it again. Voila! Two for one! Variety in coloring and papers produced different personalities for the cards, despite following the same layout and similar embellishment design elements. I hope you enjoyed riding along with me as I mounted up my VLVStamps! 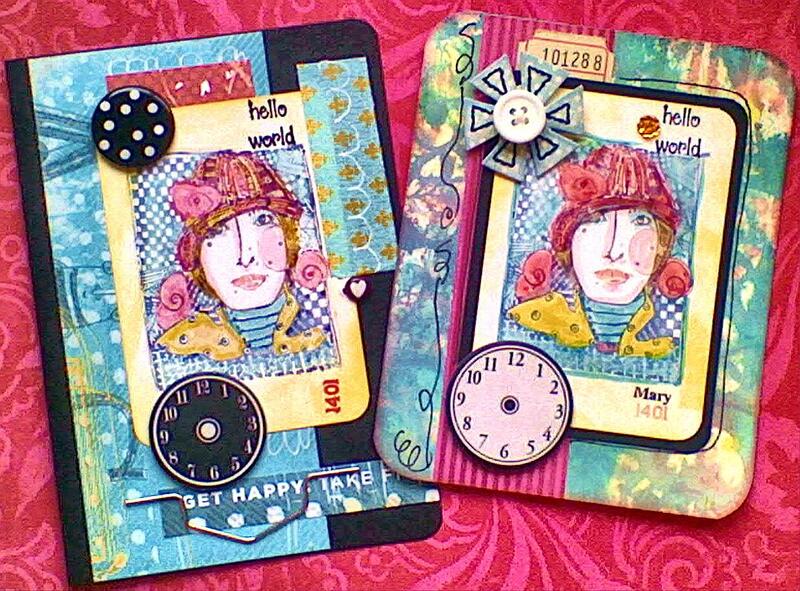 They were a pleasure to use and the nice quality allowed me to get clear images -- even coloring with markers and double stamping. I’ll be watching the Internet to see what the rest of you come up with using these wonderful images! I plan on getting some milage out of mine. Thanks for taking a look! Halloween Party EARLY KICK OFF!!!! Sunflowers Bring Two Times the Watercolor Fun! Feed your soul.......and your sweet tooth!! !